A biographical drama focusing on a specific chapter in Martin Luther King Jr.'s life, Selma looks for the man behind the image, and finds a leader struggling against self-doubt as he charts a course to change history. It's 1964, and in the southern United States, blacks have the theoretical right to vote. Practically, they are denied that right by a maze of paperwork and ridiculous civic tests administered by bigots at small-town city halls. In the shadow of the Birmingham church bombing that killed four young girls, black civil rights leader Dr. Martin Luther King (David Oyelowo) raises the issue with President Johnson (Tom Wilkinson), who is sympathetic but distracted by other agendas. 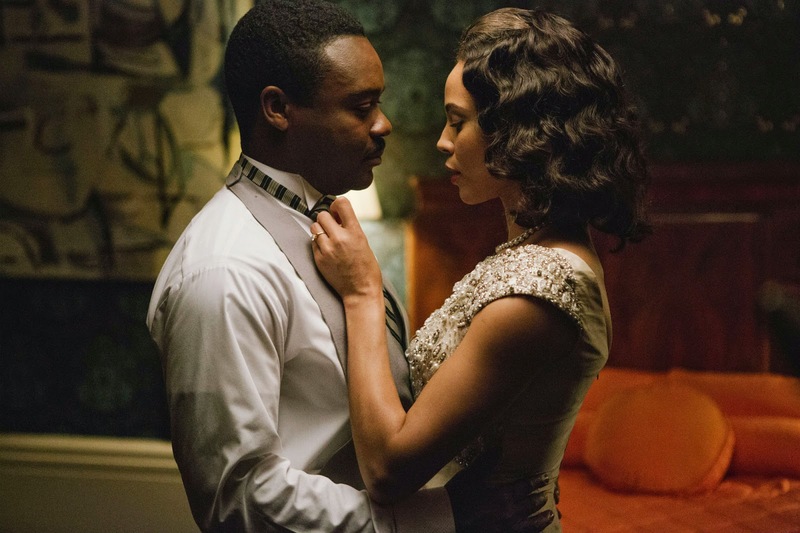 Although King and his wife Coretta (Carmen Ejogo) are living under the constant shadow of death threats, King decides to push the issue by organizing peaceful marches deep in the south, and chooses the small town of Selma, Alabama as the rallying point. Not all blacks are supportive of King's tactics, but he connects with members of The Southern Christian Leadership Conference and they start to organize. Alabama's Governor George Wallace (Tim Roth) does his best to inflame local opinions against King, and local sheriffs are quick to resort to brutality when the marches start. Johnson conspires with FBI Director J. Edgar Hoover (Dylan Baker) to try and intimidate King into stopping the marches by creating a wedge in his relationship with Coretta. But King pushes ahead, the national media pick up the story, the marchers grow in strength, but the number of victims also mounts. Selma does not spend much time on the marches themselves. Most of the 127 minutes are spent on the backroom politics that shaped public events, and on King's personal struggle to balance duties to his family, with his vision for his people and the trauma of placing individuals in harm's way. King was all of 35 years old when the events of the film took place, and director Ava DuVernay places the focus on the young man carrying an enormous burden, stripped from the legend. For the first time the subject of a feature film, King in Selma is not just an imposing figure behind a microphone rousing a crowd (although there are several such scenes). Rather, DuVernay is more interested in how one man showed the courage to lead, move thousands, and change a country, despite opposition from the President, apprehension and dissent from on-the-ground black activists, and a marriage being rocked by threats and infidelity. The film is at its best when King is in small groups holding intense conversations, allowing waves of doubt to emerge, talking through the issues, deciding on the next action by assessing the trade offs, and then persuading others to join in. Much like the marches, Selma moves slowly and deliberately. DuVernay contrasts dark rooms and prison cells with the harsh outside light, and unfurls the narrative at a gradual pace, allowing the enormity of the challenge to sink in. This does mean that the film drags on occasion, waiting for something to actually happen in amongst all the planning. When the climactic marches do finally start, DuVernay effectively marshals armies of extras, uncorks the tension that exists whenever history reaches a turning point, and finds impressive contrasts between those who define the future and those left behind on the sidelines, their raised middle finger a pathetic confirmation of their own extinction. David Oyelowo steps in the shoes of King with confidence. While the speeches are delivered with the expected powerful cadence, it's in the many smaller, more intimate scenes, either with Coretta or with King's advisors, that Oyelowo shines. He creates the private King, passionate, determined, and yet often uncertain about his actions and the impact of his activism on his family. In a relatively few but pivotal scenes, Carmen Ejogo makes a strong impression, representing the home front where pride and fear reside side by side. Tom Wilkinson never quite gets the right angle on Lyndon Johnson. Martin Sheen and Cuba Gooding, Jr. have small roles in the court battle that helps determine the legality of the marches, while Gionanni Ribisi plays Johnson's main advisor. 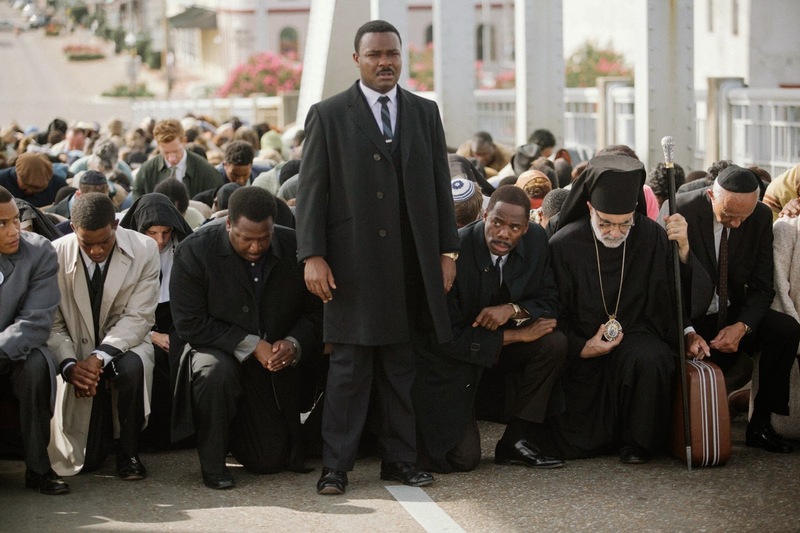 Selma does not attempt to be the definitive statement about King, but it does provide a satisfying behind-the-scenes taste of his history-changing impact.